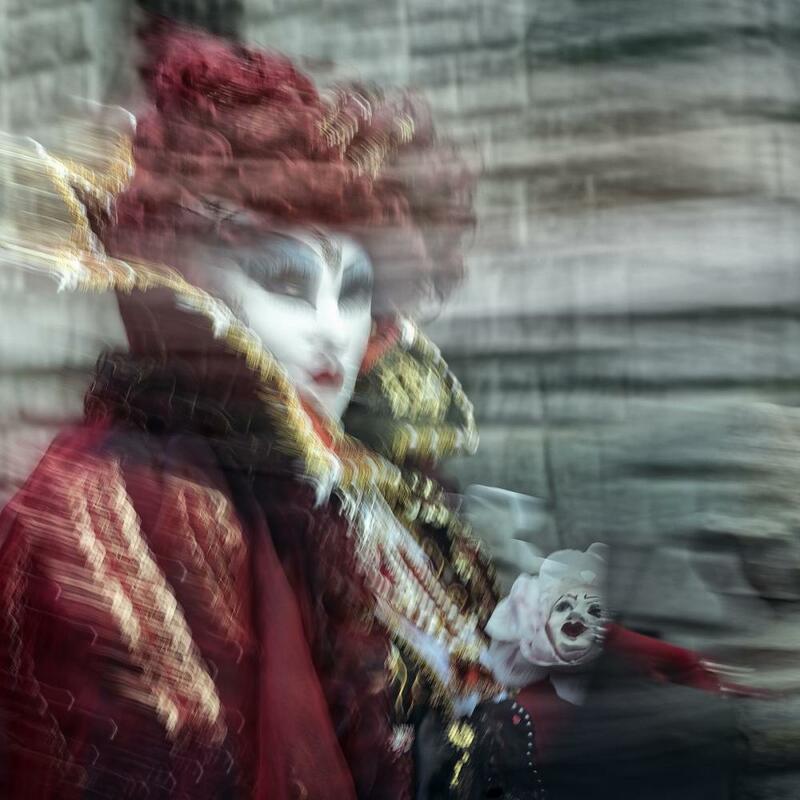 I arrived at the Venice Carnival, fully aware of the difficult possibilities ahead. 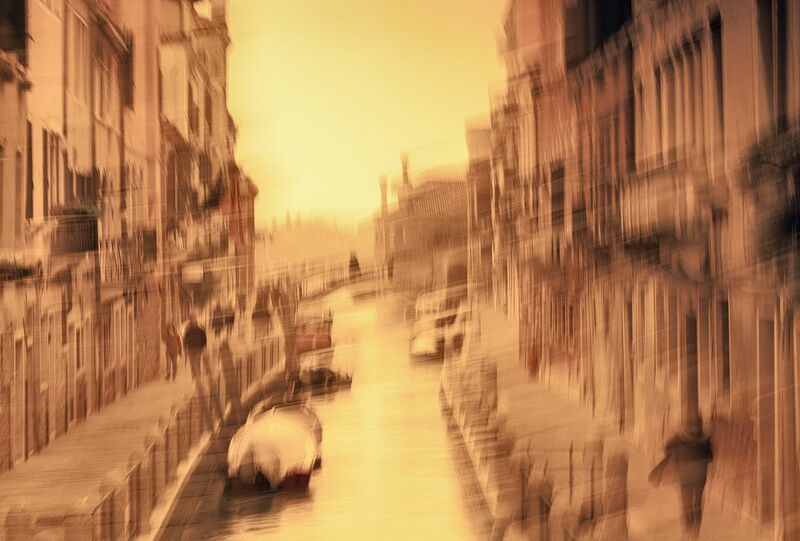 I brought back some of the old carnival magic by making photos look like impressionist scenes from a dream. That way, you can’t see the flashy or sometimes cheap adornments on some of the costumes, and light glitters make light trails. 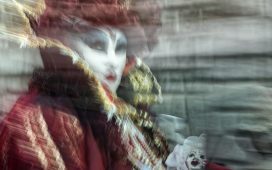 The Venice carnival of old was probably a more mysterious event, with masks and costumes sometimes lost in streets all over the city – now it has lost some of that mood, because of tourism and everyone taking photos of all the costumes. 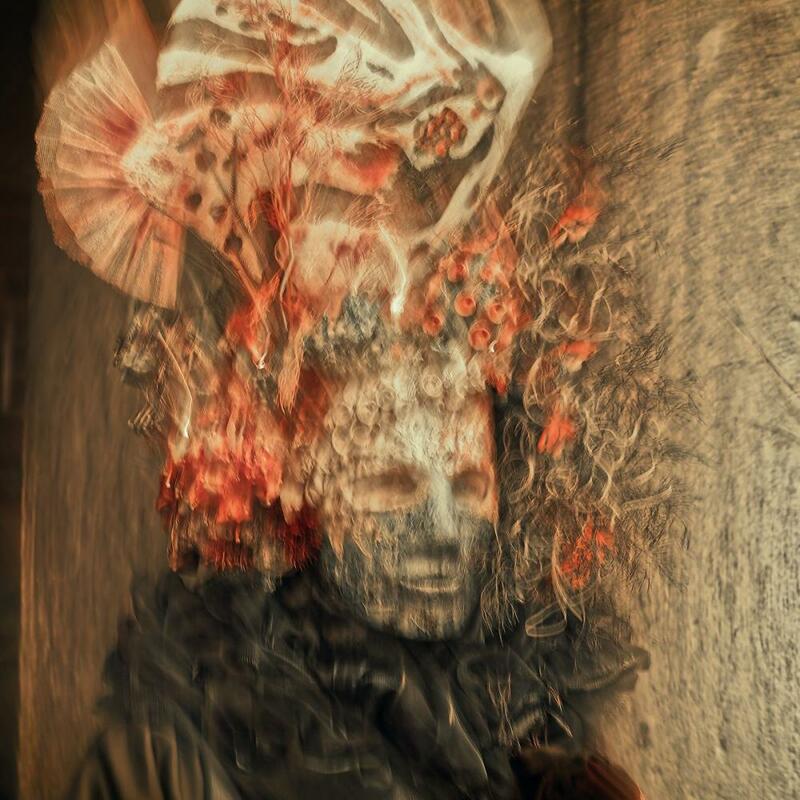 Most masks you can meet only in the very center or at specific spots. 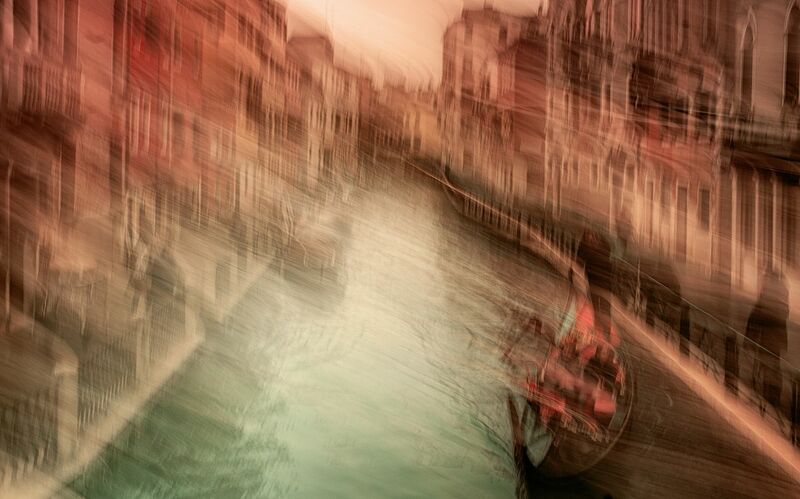 Photographing with ICM has changed that and created a world more beautiful than in reality. 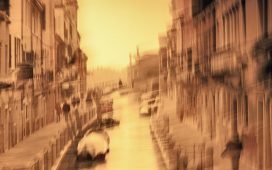 The photographer’s ‘stroke’ (as in painting), the colors obtained with special filters, all this aims to bring a touch of magic to the world of the straight, clear photograph, a touch of ‘what if that is a photo and not a painting” or ‘I wander how he does that’. A small tingle of wonder in a world where almost everything was already photographed. My goal was to photograph reality in a way that it no longer looks real, palpable, but more like we are made of mist, particles or light waves. A photograph that depicts reality in an unreal way. Daniel Munteanu’s photography moves the focus of photography from capturing images of this reality to creating photographs of different worlds and styles. 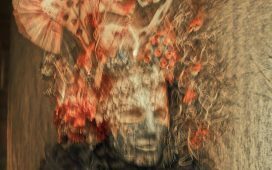 Having a background in literature and computer graphics, Munteanu always mutates photography from the real to the fantastical, from the ‘what is’ to the ‘what it can become’ through imagination. The artist is known for developing carefully staged images in the studio and outdoors, inventing the image instead of using the ready-made, crafting a photograph that depicts reality in an unreal or surreal way. In the last five years he has traveled through capital cities such as Barcelona, Venice, Paris, Kyoto, Rome, Bucharest and other natural settings, following the Transience project, in order to achieve true impressionist photography at a level seldom reached in the past. He has applied this technique to portrait, street, nature/abstract photography and has experimented with staged sets and self-made materials.